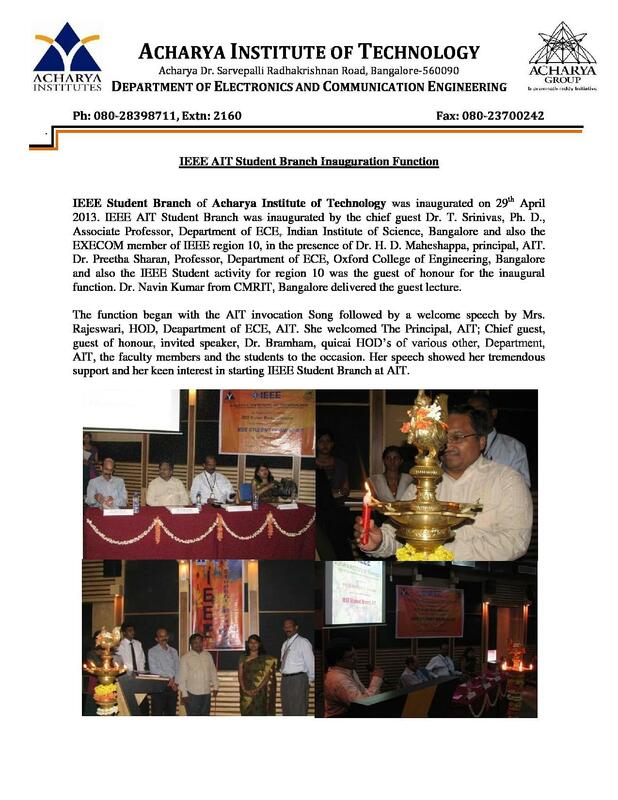 Acharya Institute of Technology is a private co-educational engineering and management college in Bengaluru, India. 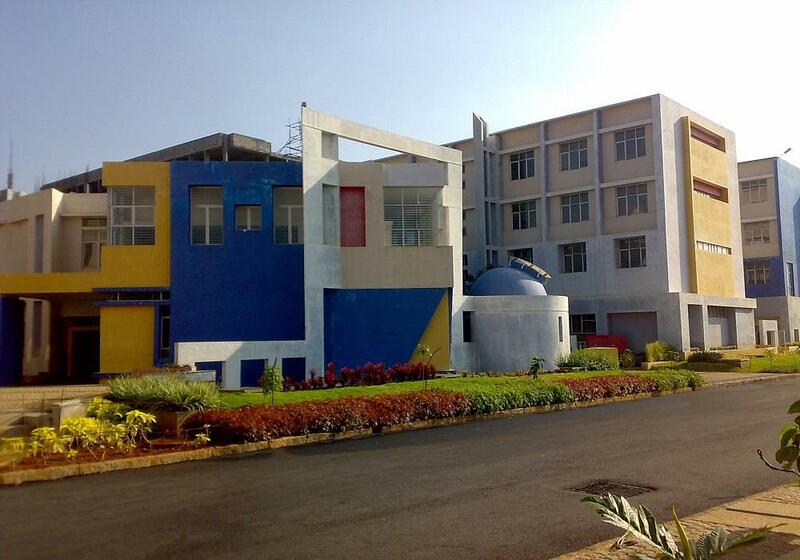 The institute is approved by AICTE and affiliated to Visvesaraya Technological University (VTU), Belgaum. This is a part of Acharya institution that has a mission to provide excellence academic ambiance to the students to achieve highest standards of technical education, meaningful research, and service to mankind. This is one of the famous institutes among Acharya Institutes, accredited by NBA and offers the variety of UG, PG and Research Programs for the benefit of the students. This institute also provides the place for students to meet and interact with each other in the comfortable environment through alumni meet conducted by the alumni committee. The campus of this institution gives the nature’s touch like it has beautiful gardens, flower beds, fruits and flower bearing trees, water ponds, park furniture etc. Acharya Dr. Sarvepalli Radhakrishnan Road, Acharya Post Office, Soladevanahalli, Bangalore, Karnataka. The college offers various courses at the undergraduate, postgraduate and doctoral level in multiple specializations. The institute also provides Diploma courses with a duration of 1 year. The list of UG courses consists of BA, BE, B.Sc., BVA etc. The duration of UG courses is around 3 to 5 years. There are many postgraduate courses such as MA, M.Sc., M.Com, MBA, M. Tech, M. Pharm etc. PG courses consist of the duration of 2 years. Also, Check Acharya Institute of Technology Fee Structure. The application form is available on the official website of the university. Those who wish to apply are required to submit their applications on the admission portal of the university. The basic eligibility for UG courses is class 12 with minimum 50% marks and for PG courses is graduation degree in relevant discipline with at least 50% marks. Candidates are selected on the basis of entrance exam. Shortlisted candidates on the basis of their performance in entrance exam are considered for admission process. To check detailed information about admission click here Acharya Institute of Technology Admission. Candidates seeking admission to UG courses need to appear for “Undergraduate Entrance Test”. Selected candidates on the basis of their performance in entrance exam will be called for document verification process. Admission to PG courses is done on the basis of entrance exams score such as KMAT/ GATE/ Karnataka PGCET. Listed applicants on the basis of their marks in entrance exams are considered for admission. No bad remarks really loved the college by the way faculty teaches us. 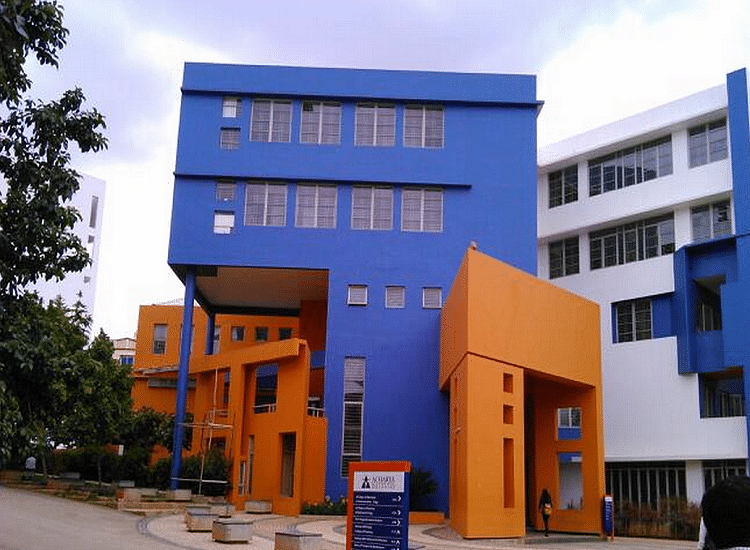 The campus is huge with good infrastructure and well-equipped class. 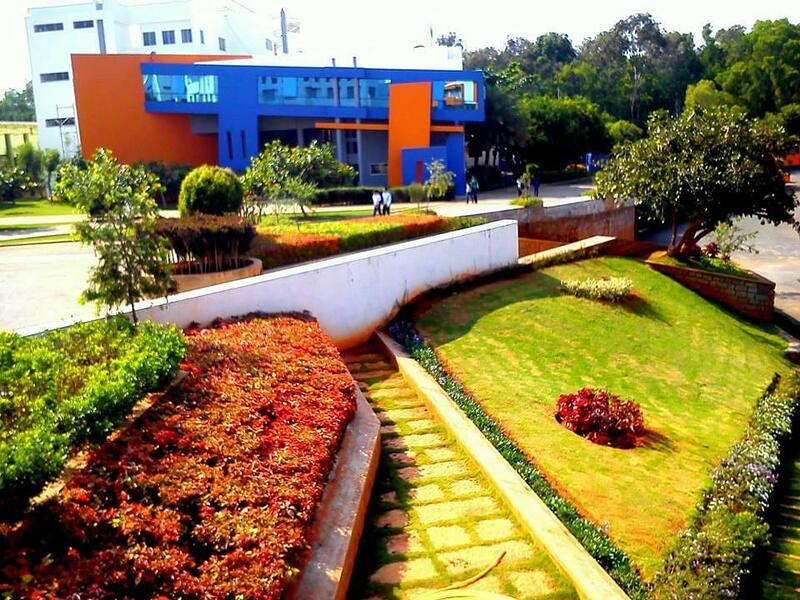 The campus is filled with trees which give freshness to the students. The faculty is also good with well experienced. Please just don't invest only on campus. Please little on education and hire good teachers. 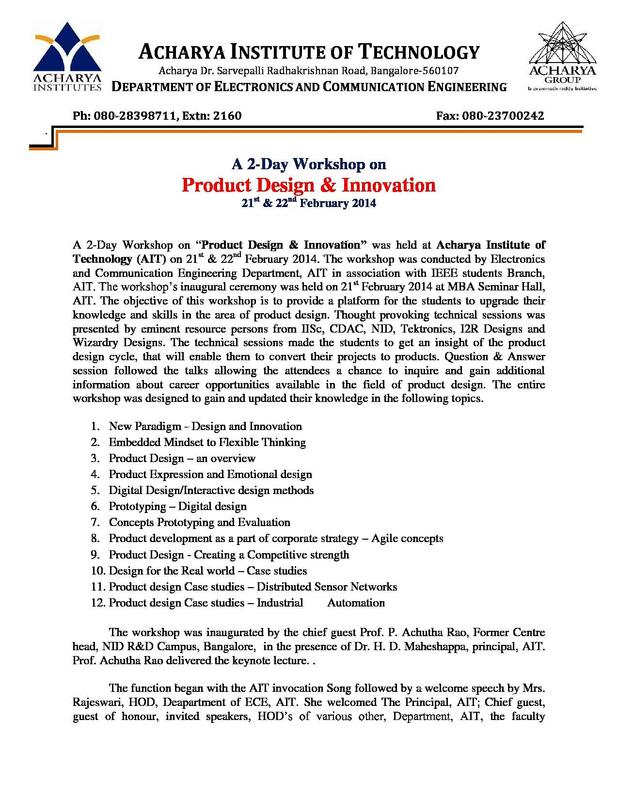 Acharya institute of technology soldevanahalli Bangalore college good remark is it's campus , college is costly, there is no bad remarks. College management overall is average. 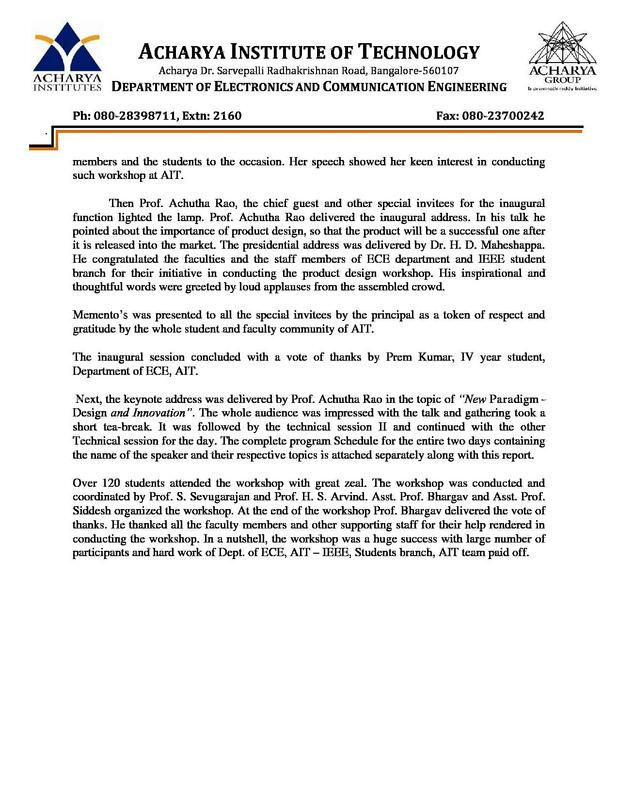 They should give more importance go students ideas. Hello Aishwarya, You may please contact to this number:- 080-23722222 for getting the course details or admission information with spot admission. For M.Tech.geotechnical engineering course is not avilable?? 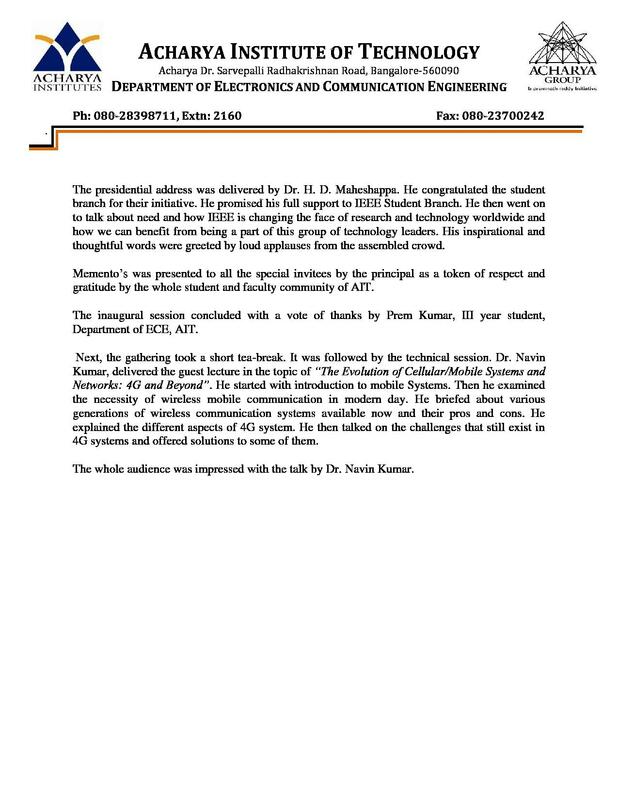 I have Mechatronics Diploma (N T T F) completed. I am now working at Peenya.I want to take B Tech through Distance Learning..
Addmission procedure and fee structure of archaya institute? Looking for a college in bangalore for Aeronuatical Engineering. Please advise I am a 12 th grade student studying CBSE in Bahrain. 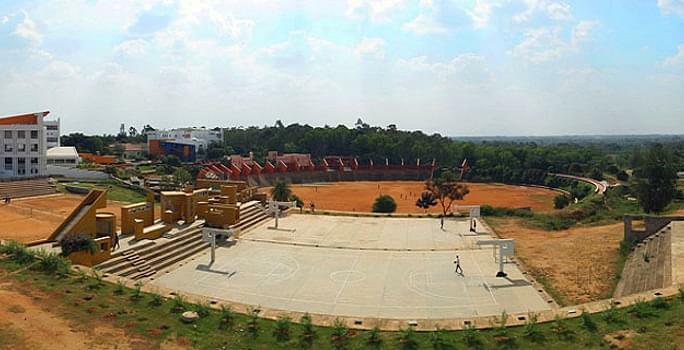 "Good college, it's architecture is one of the best in Bangalore"
It one of the best college in the Bangalore and also in the Karnataka state. It has aeronautical engineering department in engineering. I was interested in doing aeronautical engineering so joined this college. It has nice architecture and design of the college. I wanted to do BTech in mechanical engineering. My seniors and friends suggested me this college. My friends said that the teaching is good and teaching staff is good . It has good placement also many top companies come here for placements . We will have better scope for jobs. Because it is a huge campus and I love the environment and also near to my house. It is an eco-friendly environment. The place is very cool and calm. The faculty is very friendly, any doubts are clarified on time. I was suggested by my friend to join this college.